Ireland mission was such an unexpected surprise! It is a unique mission in which the team and leaders that go on mission that year have never actually set foot (usually) in Ireland prior to going and heavily depend on the previous leaders and contacts in Ireland to make the mission possible. Thanks to Ad Gentes, our families and friends, and all of those who supported us through donations but especially through prayers! When one goes on mission, one is definitely called to plant seeds in some way, but one is not always called to reap the fruits. There were many seeds planted by each missionary and some fruits. There are so many stories we could share either in door-to-door Street Evangelization or in the Pubs of Galway, but each missionary has their own testimony of what the Father has done through them. I will share my own briefly. Each day we came back from the pubs around 1-2am in the morning, we would often see homeless men and women under the doorways of the city bundled up trying to stay dry. On the first day, Nino and I met a woman named Caroline (48 years old) along with her son, Thomas (21 years old). We quickly became friends and she taught us many lessons, especially of not complaining and being grateful to God. Day after day we came back and always stopped by to greet her as often people are mean to the homeless, if not abusive. We would also bring her tea (but not Herbal tea because it makes her gag) and new socks. How often visiting her felt like paying a visit to our Blessed Lord in the tabernacle, or at least how it should be. We got to know Caroline pretty well by the end and each missionary had encountered her to some degree. I became particularly close to her and she to me. Rarely have I gotten to be such close friends with the friends of Christ on the street that the had learned my name, but Caroline had learned mine. The last night we gave her and her son tarps to keep her dry (she and her materials were always wet), blankets, new socks and gloves, more tea (! ), food, a backpack. I personally wrote her a letter and we all signed a picture. In the end she was crying and giving me a hug and thanking all of us for all we had done and that she will never forget us. I will always remember her telling us that if there were only more people like us in the world, it would be a completely different place. It was very moving and humbling that the Father chose us from all of time to touch Caroline’s heart. Before we left, we all made a deal that whoever gets to heaven first will sneak the other in and we all departed in tears and in joy. I will never forget that Christ truly is in the poor. The primary ministry of Ireland Mission takes place in the local pubs. The “publics” have served as social centers of the Irish people for centuries, especially as their culture has looked to alcohol to alleviate the increasingly depressive tendencies. By encountering them in these places, witness occurs through personal evangelization, examples of self-control, and simple holy conversation. The National University of Ireland’s Galway campus offers a chance for missionaries to assist the Catholic campus community, Youth 2000. They meet once a week, on Wednesdays, for a holy hour and social. Through praying with them, the team affirms the community as well preparing the team for continued ministry about halfway through the week. Contacts and relationships are formed between the team, which helps for the continuation of ministry beyond the week. The team also aims to maintain an aura of mission at every moment, so to witness to each person. Witness can be given to bus drivers, waiters and waitresses, and any other person the team encounters at any moment through cordiality, purity, and charity. Hello! My name is Robbie Simon, and I am junior from Redondo Beach, California, studying Philosophy and Theology at Franciscan University while I am in formation for the priesthood. Since arriving at Franciscan, I went on the Steubenville Spring Mission my freshman year, which was my first ever mission trip, and then I led the trip my sophomore year. My desire for mission is fueled by a great love and devotion for our Lord Jesus in the Eucharist and my consecration to the Immaculate Heart of Mary and the Most Pure and Chaste Heart of St. Joseph. I humbly ask for prayers for our mission team and for those that we encounter on our mission, as well as for my continuing growth in holiness, that I would always follow the will of the Lord wholeheartedly throughout my life! Thank you and may the Lord cover you with favor as with a shield! Hello! My name is Rachel Wynne, and I am a Junior at Franciscan University studying Political Science and History. I am from a small town outside of Kansas City, Missouri, and belong to a family of eight. 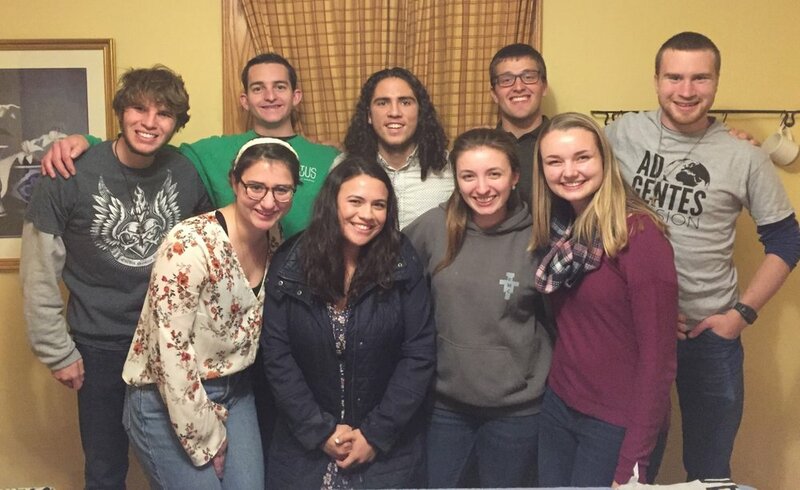 At Franciscan, I am involved in prayer team ministry and have evangelized in the streets of Steubenville with an amazing team, where I first realized my love for relational ministry. I am beyond excited to have the opportunity to help bring the joy of Christ to people in Ireland. Being Irish myself, I have a special place in my heart for Ireland and its people. I am also excited to form new relationships with those I meet on mission, as well as loving others with His love and hearing their stories. Prayers for our mission would be so appreciated! Please pray for His guidance, an outpouring of His joy and peace into our hearts, and an openness to His direction! May God bless you and may you rest in His Sacred Heart. I am Peter Salibi, a sophomore studying philosophy and theology at Franciscan University. Originally from the north of Pittsburgh, Franciscan has come to be a second home for me. Missions have been an integral part of my life, stirring in my heart a love for sharing the Gospel. Last spring break, I had the opportunity to tour Ireland with the rugby team. We spent several nights in Galway, and I am eager to go back to minister to those people. Please pray for our mission, that we may open our hearts to the people of Galway and that they may receive the love of Christ. Thank you for your support! Sláinte! Hello, my name is Mackenzie Heim. I am from Reading Pennsylvania, and a Sophomore at Franciscan University studying English and Education. I am co-head of Sacristans on the Liturgy Committee, take part in our weekly nursing home ministry, and work as a campus events staff. It has always been a desire of mine to do some form of mission work, therefore I am excited to have this opportunity to serve Christ and His church in this capacity! It is such a joy to get to share God's love and message and I look forward to sharing it with the people in the communities of Ireland. Please pray for me, and may God bless you and keep you in the palm of His hand. Hi! My name is Jessica Marter and I am a sophomore at Franciscan University majoring in Early Child Education and Intervention Specialist. I grew up in a small town in Indiana called Lake Village and come from a family of 6. 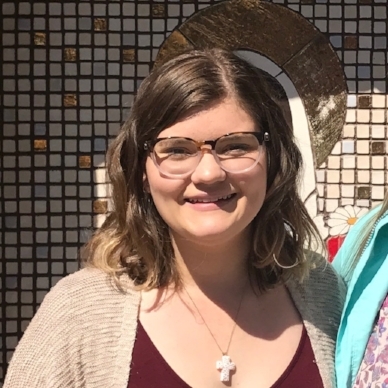 At Franciscan, I am a part of the Women's Ministry as well as being on a SENT Team that puts on retreats for high schoolers and running a Nursing Home ministry. 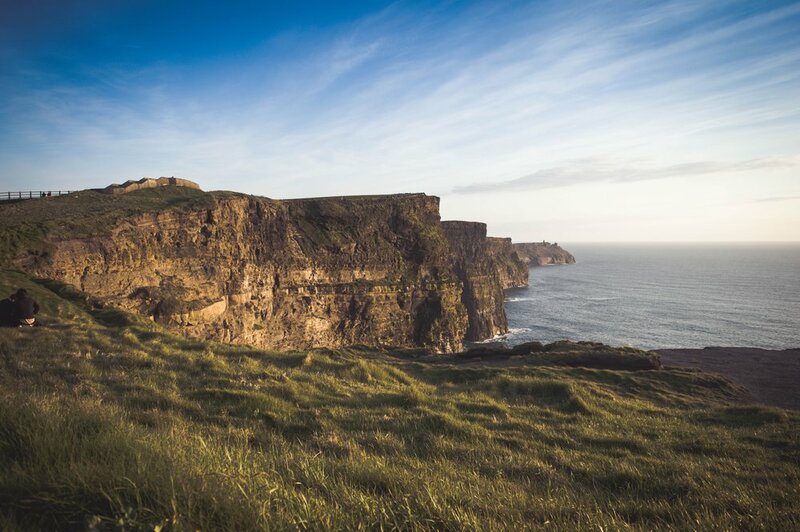 My hope for Ireland Mission is that I may become even closer to Christ and his mother by ministering to the people of Ireland and sharing the Gospel. I ask that you pray for our team as we embark on this mission and for all the people that we will encounter. St. Patrick pray for us! Hello friends! My name is Meg McDonald and I am a sophomore at Franciscan. I am studying Theology, Catechetics, and Sociology. I fell in love with relational ministry when I started doing homeless ministry in high school. I think living in solidarity and caring to know the poor and marginalized by name brings us closer to the sacred heart of Christ and lifts up our struggling brothers and sisters to Him. Please pray for my ministry team and me, and all those we will love and serve in Ireland. Thank you, and may God bless you with peace and humility. Hi! 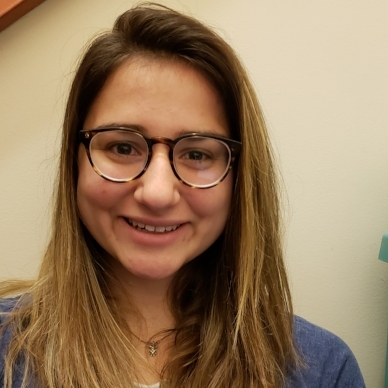 My name is Cristina Delany and I am a sophomore Psychology major with a Spanish minor. I am involved in Life Values Outreach and Prison Ministry. This is my first mission ever and I am so excited to serve the people of Ireland and be an example of Christ. I am from Huntsville Alabama and I love to embroider and hang out with friends. Hello! My name is Tommy Gies. I am a junior Theology and Philosophy major at Franciscan University. I am pursuing the priesthood, hoping to join the Priestly Fraternity of St. Peter once I finish at Franciscan. Here at school, I sing in 2 choirs: the Schola Cantorum Franciscanum and Sunday Mass Chapel choir. I am also part of Prison Ministry this semester. Mission is very dear to my heart. This is because mission, in all its aspects is ultimately centered on Our Blessed Lord in the Eucharist. It begins with the Eucharist: As missionaries, we go out into the world to share the love of God we have received in the Holy Mass, by communicating His Love in all that we do. Its end is the Eucharist: We go out so that we might draw the souls of those we encounter to Jesus in the Blessed Sacrament, who will give them true peace and joy. And in the midst of encountering others, we will encounter Christ ourselves, for "whatever you did to the least of these you did it unto me." I praise God that I have the opportunity to do this in Ireland. My hope is that me and my teammates by our witness might rekindle the love for Our Lord in the hearts of the Irish, that they will remember the heart of their nation is Jesus Christ in the Blessed Sacrament, the source and summit of the Catholic Faith. Please pray for me and my teammates! Ask the Lord to teach us how to love. And please pray for all we will encounter while on mission, that God will prepare their hearts now to receive Him. Entrust us to the tender care of Blessed Mary, for she will lead us to fall more and more with her Son, and so be conformed to Him, becoming living witnesses of His Charity for all. "May Lord enkindle within you the fire of His Love, and the Flame of Everlasting Charity." Greetings! I am Matthew Crotteau, a junior of Franciscan University. I am involved in the University’s Priestly Discernment Program, as I am seeking God’s vocation in my life. As of now, I am discerning the life of a Franciscan Brother between the Third Order Regular Friars and the Franciscan Friars of the Renewal in New York. 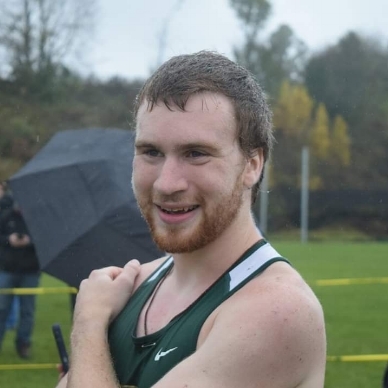 I am also a member of the Cross Country Team, learning to use my talents for God’s greater glory. Through Ireland Mission, I hope to bring joy and God’s will to all the people I meet. I ask for your prayers for my discernment and for the people I will be working with and meeting in Ireland. Thank you for everything, and I hope to see you again, either in this life or the next! God Bless! Hello! My name is Patrick Ernst, but everybody just calls me PJ. I originally come from South Bend, IN, and am from a family of six. I am a junior at Franciscan University of Steubenville in Ohio, and am studying History and Education. I hope to teach one day and join a profession that has had such a profound impact on me in my own life. Helping young students find their way in the world is such a rewarding profession, and I hope to experience something similar while on mission in Ireland. I also am a rugby nut, and my rugby team and I journeyed to Ireland previously for a spring break trip! I am excited to return with a missionary heart this time, seeking to spread the Gospel and win more souls for Christ. 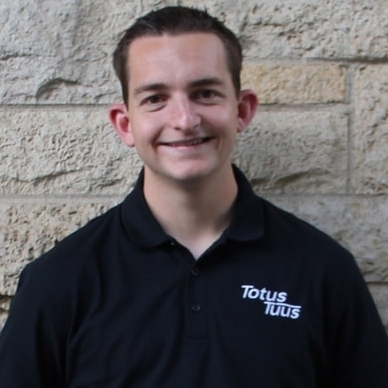 My name is Tyler Boyd, and I am a student at Franciscan University of Steubenville in the Priestly Discernment Program. A native of Buckhannon, West Virginia, I am seeking to love like the Sacred Heart of Jesus as a Catholic priest. I am hoping to share this journey towards priesthood with you in hope that this endeavor may encourage you to follow God’s will in your life.